3" x 3/4" Acetal Rectangular Bar | U.S. Plastic Corp.
Acetron GP is a general purpose acetal and is the only porosity-free acetal product available today. Service temperature, air -50°F to 180°F. Not UV stabilized. 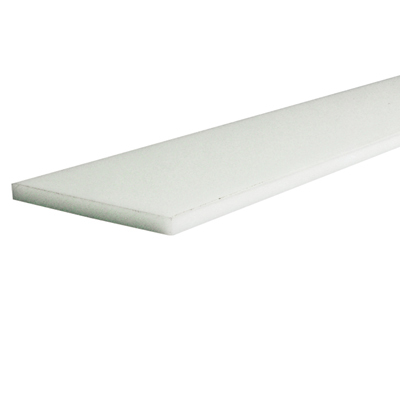 White meets FDA standards and is USDA compliant. Ultimate tensile strength, 9500 psi. Standard 4' lengths; sold in 1' intervals.